B. Acikmese, J. Casoliva and J. M. Carson III, “G-FOLD: A Real-Time Implementable Fuel Optimal Large Divert Guidance Algorithm for Planetary Pinpoint Landing,” Concepts and Approaches for Mars Exploration, 2012. 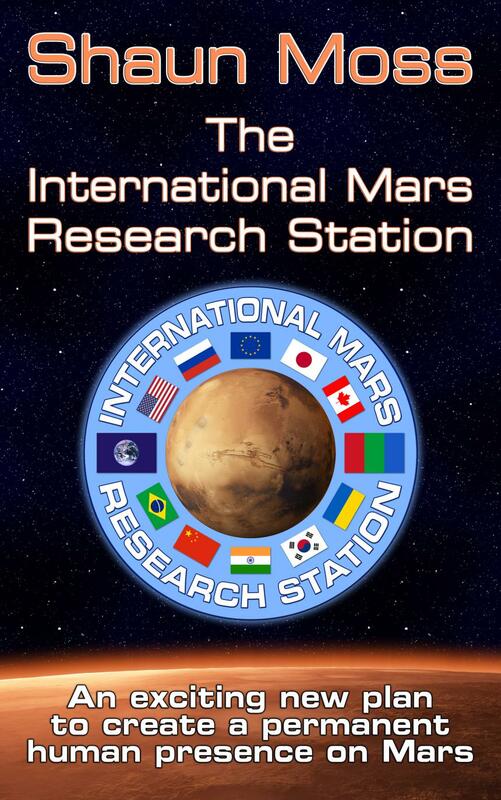 S. Adan-Plaza, K. Carpenter, L. Elias, R. Grover, M. Hilstad, C. Hoffman, M. Schneider and A. Bruckner, “Extraction of Atmospheric Water on Mars for the Mars Reference Mission,” HEDS-UP Mars Exploration Forum, LPI Contribution No. 955, May 1998. J. Bauer, S. Hengsbach, I. Tesari, R. Schwaiger and O. Kraft, “High-strength cellular ceramic composites with 3D microarchitecture”, Proc. Natl. Acad. Sci. USA, vol. 111 no. 7, 2453-2458, Jan 2014. G. Bonin, “Reaching Mars for Less: The Reference Mission Design of the MarsDrive Consortium,” 25th International Space Development Conference, Los Angeles, CA, May 2006. D. Byford, J. Goppert and T. Gangale, “Optimal Location of Relay Satellites for Continuous Communication With Mars,” AIAA 2008-7919. Presented at Space 2008, 9 Sep 2008, San Diego, CA. P. D. Campbell, “Internal Atmospheric Pressure and Composition for Planet Surface Habitats and Extravehicular Mobility Units,” Lockheed Engineering and Sciences Company, Contract NAS9-17900, Job Order K1-ETB, Report No. JSC-25003, for NASA Man-Systems Division, 1991. P. R. Christensen, J. L. Bandfield, V. E. Hamilton, S. W. Ruff, H. H. Kieffer, T. N. Titus, M. C. Malin, R. V. Morris, M. D. Lane, R. L. Clark, B. M. Jakosky, M. T. Mellon, J. C. Pearl, B. J. Conrath, M. D. Smith, R. T. Clancy, R. O. Kuzmin, T. Roush, G. L. Mehall, N. Gorelick, K. Bender, K. Murray, S. Dason, E. Greene, S. Silverman and M. Greenfield, “Mars Global Surveyor Thermal Emission Spectrometer experiment: Investigation description and surface science results”, J. Geophys. Res.,106, 23,823-23,871, 2001. M. Cohen, M. T. Flynn, R. L. Matossian, “Water Walls Architecture: Massively Redundant and Highly Reliable Life Support for Long Duration Exploration Missions,” Global Space Expl. Conf., Washington D.C., GLEX-2012.10.1.9x12503, 2012. C. Cooper, W. Hofstetter, J. A. Hoffman and E. F. Crawley, “Assessment of architectural options for surface power generation and energy storage on human Mars missions,” Acta Astronaut., vol. 66, no. 7–8, pp. 1106–1112, Apr 2010. J. Delaune, G. Le Besnerais, M. Sanfourche, T. Voirin, C. Bourdarias and J. Farges, “Optical Terrain Navigation for Pinpoint Landing: Image Scale and Position-Guided Landmark Matching,” Proceedings of the 35th Annual Guidance and Control Conference, 2012. J. L. Dickson, C. I. Fassett and J. W. Head, “Amazonian-aged fluvial valley systems in a climatic microenvironment on Mars: Melting of ice deposits on the interior of Lyot Crater”, GRL, vol. 36, 2009. B. G. Drake, “Human exploration of Mars, Design Reference Architecture 5.0”, July 2009, p. 100., Mars Architecture Steering Group, NASA/SP–2009–566. E. C. Ethridge and W. F. Kaukler, “Microwave Extraction of Volatiles for Mars Science and ISRU,” AIAA Aerospace Sciences Meeting, 2012. M. J. Fogg, “The Utility of Geothermal Energy on Mars,” J. Br. Interplanet. Soc., vol. 49, pp. 403–422, 1996. D. Gage, “Mars Base First: A Program-level Optimization for Human Mars Exploration”, J. Cosmol., vol 12, pp. 3904-3911, 2010. T. Gangale, “MarsSat: Assured Communication With Mars,” Ann. NY Acad. Sci., vol. 1065, 1 Jan 2006. Presented at New Trends in Astrodynamics and Applications II, 3 June 2005, Princeton U., Princeton, NJ. G. D. Grayson, M. L. Hand, E. C. Cady, 2009, “Thermally coupled liquid oxygen and liquid methane storage vessel”, US Patent 7568352 B2. M. R. Grover, M. O. Hilstad, L. M. Elias, K. G. C. M. A. Schneider, C. S. Hoffman, S. Adan-Plaza and A. P. Bruckner, “Extraction of Atmospheric Water on Mars in Support of the Mars Reference Mission,” MAR 98-062, Proceedings of the Founding Convention of the Mars Society: Part II, ed. R. M. Zubrin and M. Zubrin, Boulder, CO, pp. 659-679, August 13-16, 1998. M. R. Grover, E. Sklyanskiy, A. D. Steltzner and B. Sherwood, “Red Dragon-MSL Hybrid Landing Architecture for 2018,” JPL, Caltech, Concepts and Approaches for Mars Exploration, 2012. A. J. Hanford (ed. ), “Advanced Life Support Baseline Values and Assumptions Document,” NASA JSC, 2004. M. A. Interbartolo III, G. B. Sanders, L. Oryshchyn, K. Lee, H. Vaccaro, E. Santiago-Maldonado and Anthony C. Muscatello, “Prototype Development of an Integrated Mars Atmosphere and Soil-Processing System,” J. Aerosp. Eng., vol 26, SPECIAL ISSUE: In Situ Resource Utilization, pp. 57–66, 2013. JSC 20584, “Spacecraft Maximum Allowable Concentrations For Airborne Contaminants,” Toxicology Group, Medical Operations Branch, Medical Sciences Division, Space and Life Sciences Directorate, NASA JSC, June 1999. J. S. Karcz, S. M. Davis, M. J. Aftosmis, G. A. Allen, N. M. Bakhtian, A. A. Dyakonov, K. T. Edquist, B. J. Glass, A. A. Gonzales, J. L. Heldmann, L. G. Lemke, M. M. Marinova, C. P. Mckay, C. R. Stoker, P. D. Wooster and K. A. Zarchi, “Red Dragon: Low-Cost Access to the Surface of Mars Using Commercial Capabilities,” Concepts and Approaches for Mars Exploration, 2012. J. Kozicki and J. Kozicka, “Human friendly architectural design for a small Martian base,” Adv. Sp. Res., vol. 48, no. 12, Dec 2011. M. A. Kreslavsky and J. W. Head III, Mars: Nature and evolution of young latitude-dependent water-ice-rich mantle, Geophys. Res. Letters, 29, 2002. K. E. Lange, C. H. Lin, B. E. Duffield and A. J. Hanford, “Advanced Life Support Requirements Document,” JSC-38571, Revision C, NASA JSC, Houston, Texas, 2003. B. Lansdorp and A. A. Wielders, “Mars One Communications System,” http://www.mars-one.com/technology/communications-system (Retrieved 2014-05-26). W. J. Larson and L. K. Pranke, “Human Spaceflight: Mission Analysis and Design (Space Technology Series),” McGraw-Hill, 1999. A. LeBlanc, T. Matsumoto, J. Jones, J. Shapiro, T. Lang, S. M. Smith, L. Shackelford, J. Sibonga, H. Evans, E. Spector, T. Nakamura, K. Kohri and H. Ohshima, “Bisphosphonate as a Countermeasure to Space Flight-Induced Bone Loss,” American Society for Bone and Mineral Research, Houston, TX, JSC-CN-30935, 2014. M. Raftery, D. Cooke, J. Hopkins and B. Hufenbach, “An Affordable Mission to Mars,” 64th International Astronautical Congress, Beijing, China, IAC-13, A5, 4-D2.8.4, 2013. R. Rhinehart, “Soylent - Free Your Body,” https://campaign.soylent.me/soylent-free-your-body (Retrieved 2013-10-15). Peter B. de Selding (2010-02-03), “ESA Chief Lauds Renewed U.S. Commitment to Space Station, Earth Science”, http://spacenews.com/esa-chief-lauds-renewed-us-commitment-space-station... (Retrieved 2015-01-26). C. R. Stoker, A. Davila, S. Davis, B. Glass, A. Gonzales, J. Heldmann, J. Karcz, L. Lemke and G. Sanders, “Ice Dragon: A Mission to Address Science and Human Exploration Objectives on Mars,” Concepts and Approaches for Mars Exploration, 2012. G. W. W. Wamelink, “Growing plants on Mars: Wageningen UR goes extraterrestrial”, Wageningen UR, https://www.wageningenur.nl/en/show/Growing-plants-on-Mars-Wageningen-UR..., 2013 (Retrieved 2014-06-09). A. Wielders, B. Lansdorp, S. Flinkenflögel, B. Versteeg, N. Kraft, E. Vaandrager, M. Wagensveld, A. Dogra, B. Casagrande and N. Aziz, “Mars One: Creating a human settlement on Mars,” European Planetary Science Congress 2013, vol. 8, 2013. D. Willson and J. D. A. Clarke, “A Practical Architecture for Exploration-Focused Manned Mars Missions Using Chemical Propulsion, Solar Power Generation and In-Situ Resource Utilisation,” J. Br. Interplanet. Soc., vol. 58, pp. 181–196, 2005. R. M. Zubrin, “The Case for Colonizing Mars”, Ad Astra, July/August 1996, http://www.nss.org/settlement/mars/zubrin-colonize.html (Retrieved 2015-01-29). R. M. Zubrin, D. A. Baker and O. Gwynne, “Mars direct - A simple, robust, and cost effective architecture for the Space Exploration Initiative,” 29th Aerosp. Sci. Meet. AIAA, 1991. R. M. Zubrin w/ R. C. Wagner, 1996, “The Case for Mars: The Plan to Settle the Red Planet and Why We Must,” ISBN 0-684-83550-9 978-0684835501, Simon & Schuster, NY.